Laura Kelley has more than 30 years of experience in executive-level transportation management, helping shape national, state and local policy. 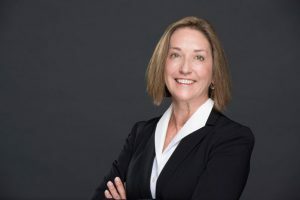 In 2014, she was named the Central Florida Expressway Authority’s (CFX) first executive director, managing the daily operations of the agency’s 118-mile expressway system and $1.9 billion dollar five-year work plan. Under her leadership, the agency adopted a “Customer First Toll Policy,” resulting in the cancellation of a scheduled 15% toll increase, expanded customer services by opening drive-up Reload Lanes on expressways, grew its E-PASS program by 20% in 15 months, and saved commuters millions of dollars through toll discount programs. Ms. Kelley also has overseen CFX’s installations of safety and technology improvements, including equipping expressways with wrong-way driver detection systems. Ms. Kelley’s prudent management style led CFX to secure federal financing for the Wekiva Parkway, a move that saved the agency $260 million and advanced the project’s completion date by two years. Meanwhile, CFX’s financial position has strengthened and bond ratings upgraded with Ms. Kelley at the helm. Previously, Ms. Kelley served as executive director of the Florida Transportation Commission and financial manager for the Florida Department of Transportation’s $36 billion work program. She is a member of the International Bridge Tunnel and Turnpike Association, the American Society of Highway Engineers, WTS International (Advancing Women in Transportation), the Transportation and Expressway Authority Membership of Florida and a member of the University of Florida Transportation Institute’s external advisory board. She is a graduate of Florida State University’s College of Business. The Central Florida Expressway Authority’s Governing Board oversees the agency’s policies and guides its direction. The board consists of 10, non-paid members from public and private sectors. Click here to view CFX’s 2017 Governing Board members. Board Meetings are held on the second Thursday of each month at 9 a.m. Meetings are open to the public. To make a public comment at the Board Meeting, please complete and submit a public comment form.